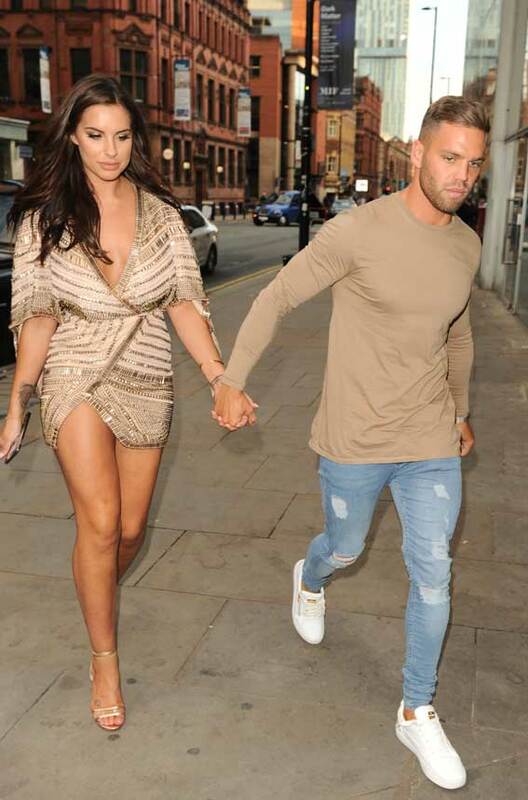 Love Island star Jess Shears showed off her long tanned legs and cleavage in a £150 Missguided Peace + Love Kimono Wrap Dress as she hit the town with boyfriend Dom Lever. Wearing the very short outfit she avoided a wardrobe malfunction holding onto her dress and showed off her tattoos – one on her wrist the other on her right foot. Having only known each other for a few weeks the two are back on track as they held hands in Manchester – the city Dom lives in. In fact, the couple have suggested they will buy a place together in Manchester and rent in London. 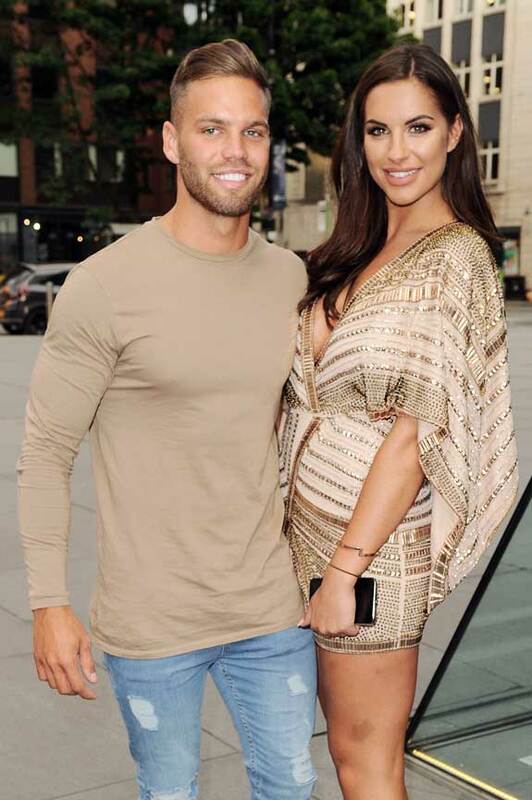 Their relationship was rocked by rumors Jess had slept with fellow contestant Mike Thalassitis after leaving the villa. Jess is set to follow in the footsteps of Olivia Buckland, above, and have a successful career after her appearance on Love Island. See more pics of Olivia Buckland in a revealing swimsuit below. The ITV hit show takes 12 young, free and single participants to a gorgeous villa in Majorca and see the sparks fly! PHOTOS: Olivia Buckland Glows In Revealing Swimsuit For Fun Cocoa Brown Photo Shoot! Love Island Trivia: The Love Island villa is located in Mallorca with reportedly 69 cameras watching the Islander’s every move.